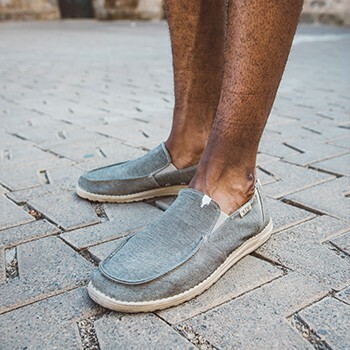 The Chan is our lightest slip-on style. They bring about a sleek new look in slip-on comfort and style. Slim, form fitting, and powered by our Flex & Fold outsole system, a pair of Chans will make life a walk in the park. 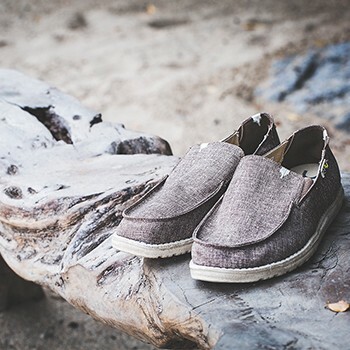 Equipped with our memory foam, cushioned insole, you can go sockless and have great breathability. The insoles can be cleaned, and the shoes are machine washable. Our highly comfortable and flexible Stretch material allows our shoes to conform to the shape and width of your foot like no other! We use 4-way stretch material that allows the unique shape of your foot to match the upper of your Hey Dude shoes.